Putting together a basket for her is one of my favorite parts of the season. Last year I made her a DIY tutu skirt basket and added a homemade playdough carrot. She had such fun with that aspect of it that I decided I wanted to do something similar this year. I like doing themes and with as much as Bubbles loved watching Cinderella at the theater last week, I decided a Disney Princess themed basket would be a lot of fun. 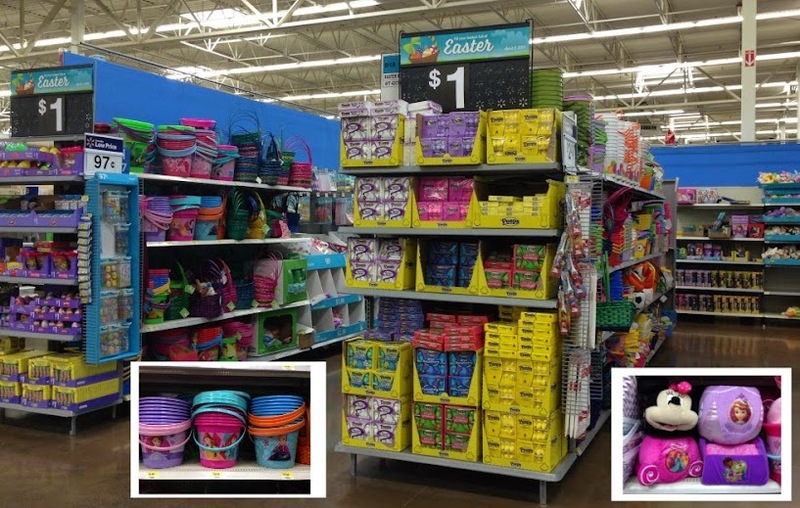 Walmart has a great selection of baskets and I choose a big Disney Princess plastic bucket that she’ll be able to use outside this summer or to help use as storage in her room. 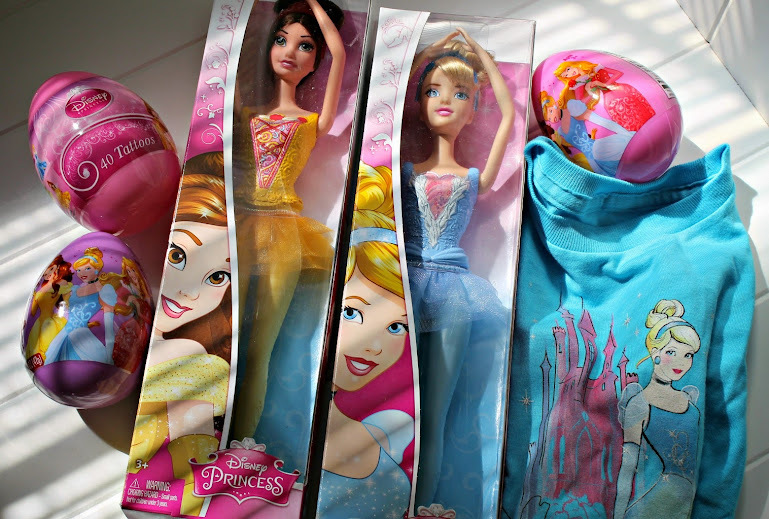 They also had a ton of other Disney Princess goodies, including a Cinderella ballerina doll, some plastic eggs filled with candy and temporary tattoos, t-shirts and more. 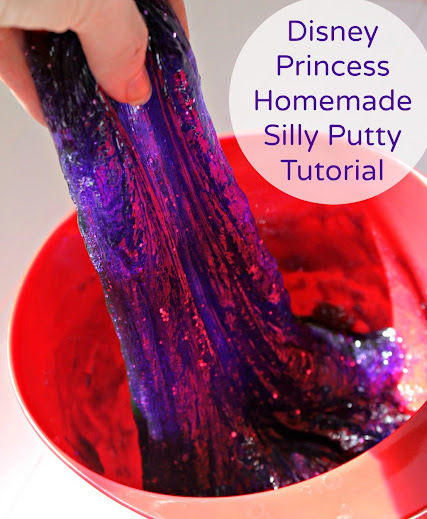 I decided to make Disney Princess-colored glittery homemade silly putty. A little different than the homemade playdough, and it was something Bubbles hadn’t yet had the opportunity to play with. It’s really easy to make and you can customize it so many ways with very little effort. Pour glue into a small bowl. Refill the glue bottle with water and add to the bowl. Stir with a spoon until well combined. Add a few drops of your desired food coloring and mix well. Add a sprinkle or two of glitter and mix well. In a separate cup mix the hot water and Borax until dissolved. Pour Borax mixture into glue mixture and stir. It will come together almost instantly; if it congeals too fast to stir with the spoon, go ahead and squish it all together with your hands. 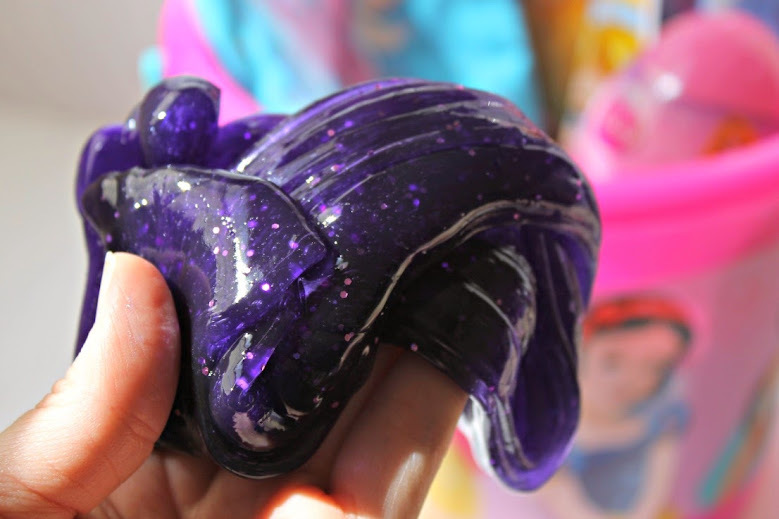 It’s easy to make this to match whatever Disney princess is your child’s favorite. 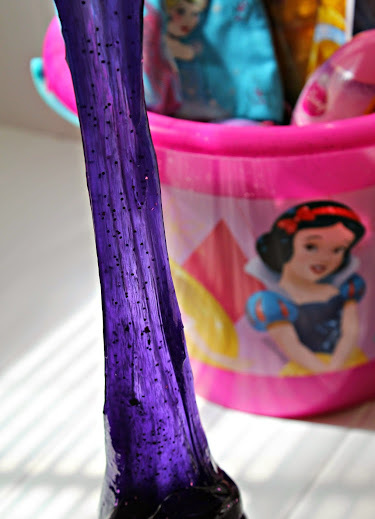 My first one was inspired by Rapunzel, and I used purple food coloring and pink glitter. My second one was inspired by Ariel and I used teal food coloring and blue glitter. My last one was inspired by Cinderella and I used blue food coloring and gold glitter. 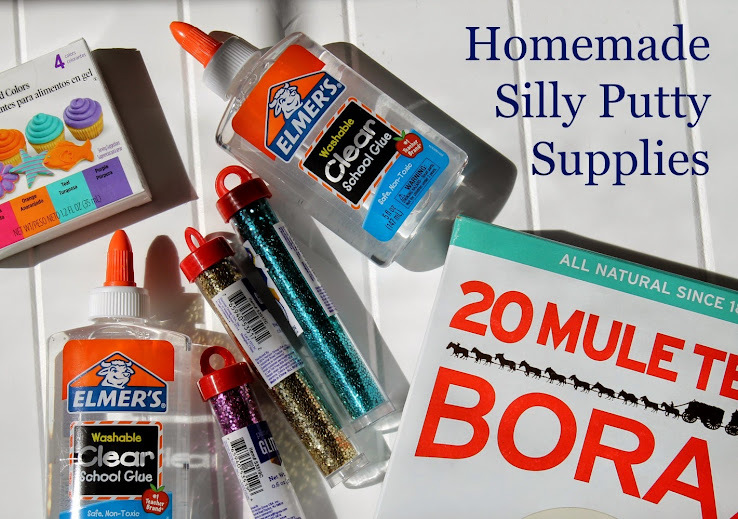 The homemade silly putty should last for awhile as long as you store it in an airtight container or zip-top bag. You can find all the supplies you’ll need at Walmart, so you’ll only have to make one trip for the entire basket. 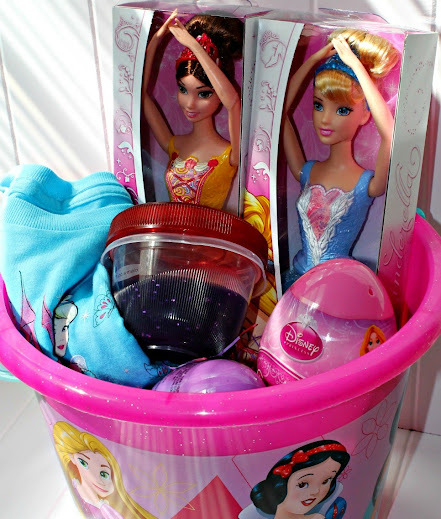 What other Disney Princess Easter basket fillers do you like?